Just a fun little project! Our own ABC book inspired by Oliver Jeffer’s story Once Upon An Alphabet and “Choose your own adventure” books. Welcome to ALL THINGS QUEBEC, the hub for 65 middle school bloggers from St. Lawrence School near Montreal, Quebec. 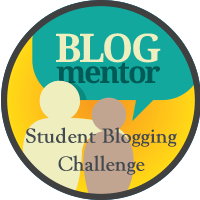 We always welcome comments and collaboration from student bloggers around the world! Thank you for visiting and please come again!